"Well, Chris, if he finds evidence of a crime that's within the scope of what Director Mueller and I have agreed is the appropriate scope of the investigation, then he can. If it's something that's outside that scope, he needs to come to the acting attorney general, at this time, me, for a permission to expand his investigation." 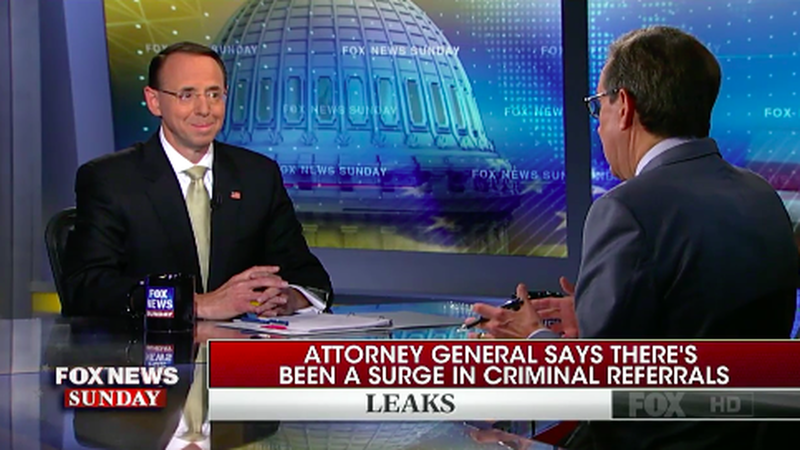 Rosenstein wouldn't say what the original scope of the investigation was, or whether it had expanded in the 11 weeks Mueller has been on the job. Why it matters: Reports emerged last week that Mueller was investigating President Trump's finances, something Trump told the NY Times would be a "violation" of his authority.